There is nothing as satisfying as watching your baby gradually beginning to appreciate and enjoy feeding on various foods. However, it is important for all novice and all other parents to recognize that it is not as easy as it seems. Aside from ensuring that you prepare a balanced diet for him, the entire task is making him to feed on the nutritious meal. In this article, you will learn the tactics of cultivating feeding interest in a baby and actually making him to feed comfortably and easily for the first time. Among the utmost tips of ensuring that your baby maximizes on the bits is timing them correctly. This is advisable even for parents that are introducing solid foods to their babies for the first time. Reliable research shows that the best timing for feeding the baby is in the morning soon after she wakes up. At this time, the baby feels bushy-tailed and bright-eyed. Also ensure that the baby is famished, but not starving. That way, he will be demanding one spoon of food after the other due to tummy discomfort caused by hunger. Ensure that you get rid of any surrounding distraction like children playing around, a program on TV, phone that may steal away the baby’s attention from feeding. There is no fixed meal that should strictly be fed on the baby as the first solid food. It is left for you to make the decision. You may commence with cereals, brown rice mashed with breast milk or mashed bananas, avocados or potatoes. Soon after you have introduced the first food to the baby, you can slowly introduce new foods to the little one. 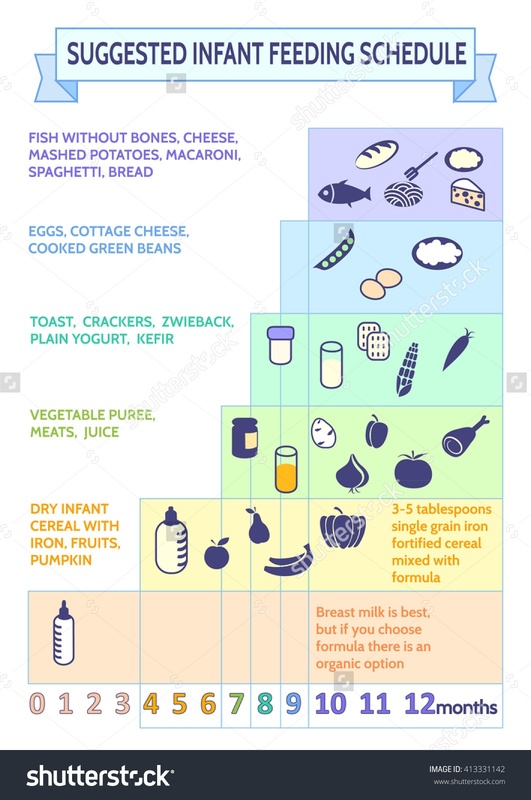 However, some dieticians argue that it is better to give the same kind of food to a baby consistently for the first few days in order to easily tell cause of any adverse reaction that may show up. You may alternate mashed bananas mixed with paw paws alongside apples blended with blueberries or just any other solid food that you may find ideal for your baby. This may mean broccoli, pumpkins, cereals, guava and so on. It is normal for a baby to refuse taking certain foods severally when introduced to them for the first time. However, it is unwise for you to so easily throw into the towel that your baby has completely refused to take the food. Reliable research shows that a good number of babies take up to 15 attempts to agree to feed on certain meals. Certainly, it will take a mother a lot of patience to attempt giving the little one food for over ten times. 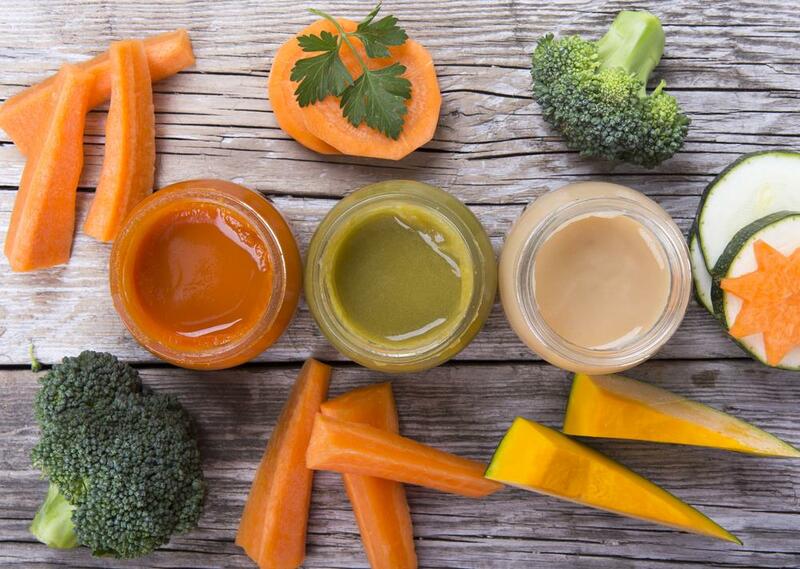 In a certain research, some mothers were asked to feed their infants with vegetable puree for about a week. However, on making consistent trials for about 2 weeks, the babies eventually loved the food. The good news is that after accepting a certain food, a mother enjoys a hassle-free time feeding their babies. Reliable scientific research has revealed that one of the top secrets of building feeding habit in a baby is introducing them to new and interesting tastes. Certainly, spices and herbs are not harmful to the baby. Therefore, after introduction of plain food to the baby for the first several weeks, you may now introduce spices and herbs gradually. 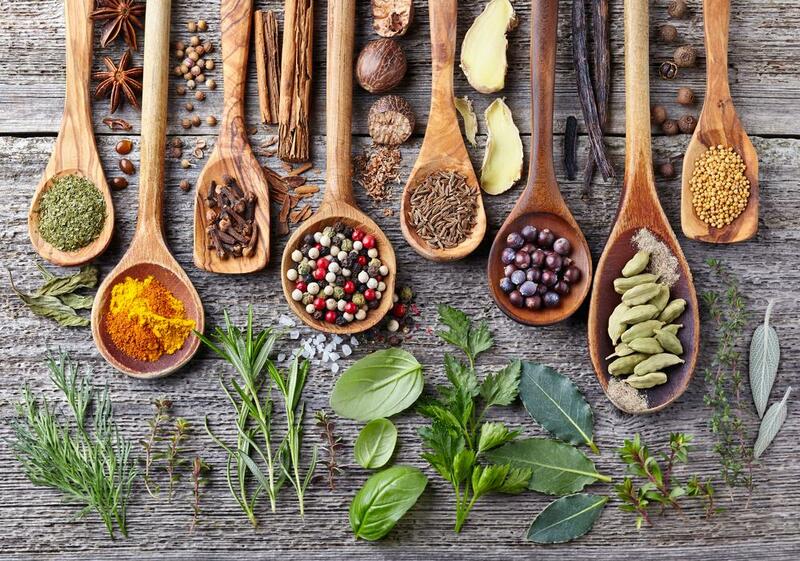 Some of the spices and herbs that babies have been found to really enjoy are such as ginger, cinnamon, vanilla, mint as well as sage. For instance, you may blend nutmeg into a sweet potato puree, cilantro into an avocado meal or even cinnamon into apples. However, dieticians argue that it is not wise for a parent to put too much spices into the baby’s food as it may lead to stomach problems. You should not put more than one spice to the baby’s food. One of the facts about babies is that they tend to love things that they can name. Therefore, it is advisable for you to assist your little one to mention the name of the food you are feeding them on. Make them keep repeating these names anytime you are feeding them on that specific food. Eventually, the baby tends to make that meal their favourite as they also enjoy mentioning it’s name. Although most parents keep their babies away from the kitchen afraid that they will mess things up or even get burnt, this is not wise. Putting your baby close to the kitchen helps in building her interest in foods. She eventually becomes a better eater than ever before. By looking at various foods in the kitchen, curiosity of putting them in the mouth builds. I already mentioned that the baby’s young age is an exploring stage where nearly everything is tested using the mouth.